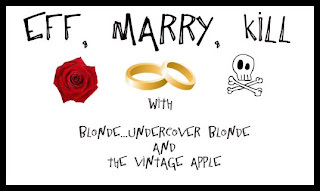 Heather from Blonde...Undercover Blond for Eff, Marry, Kill! 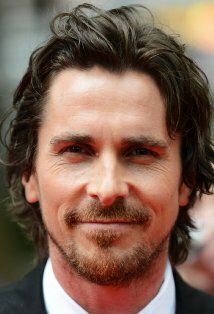 I would definitely Eff Christian Bale because he is, well, he is Christian Bale. Plus, the sound of his voice makes me melt! I would marry Hugh Jackman because I could stare at him for the rest of my life, plus he has been married to the same women since 1996...that has to say something about how great he is! I would kill Andrew Garfield, because seriously he just looks creepy! Oh my God...that scared me. You put Hugh Jackman last, which made me think you're rather marry Andrew Garfield...and I don't even know/care who that is. After the initial shock, I totally agree with your choices. haha You're comment just made me laugh! I suppose I could have put them in the correct order, because Andrew Garfield is just strange looking (he's the new spiderman).